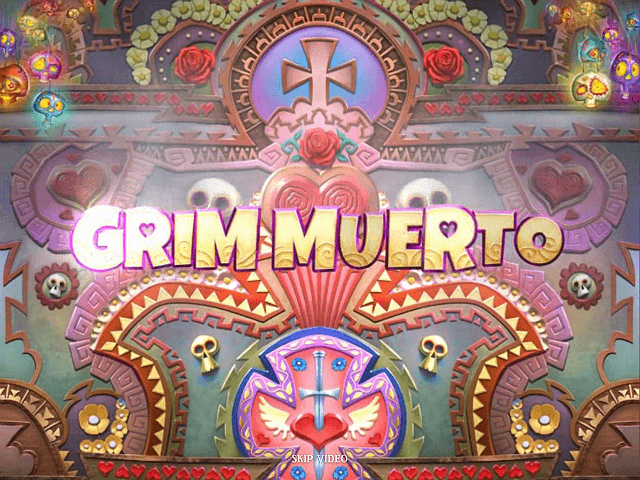 Grim Muerto loosely translates from Spanish as ‘day of the dead’. While this might sound like a Mediterranean zombie apocalypse, it is in fact a festival of life celebrated in Mexico. Families and friends come together to toast the memories of loved ones no longer with them. This celebratory atmosphere is the running theme of this slot title from Play ’n Go, who have encapsulated a party atmosphere perfectly. You'll find the action unfolds on a colourful game board where the emphasis is on vibrant fun, music, and costume. As ever, the object of the game is to reveal three or more matching symbols on a payline to land the relevant cash prize. 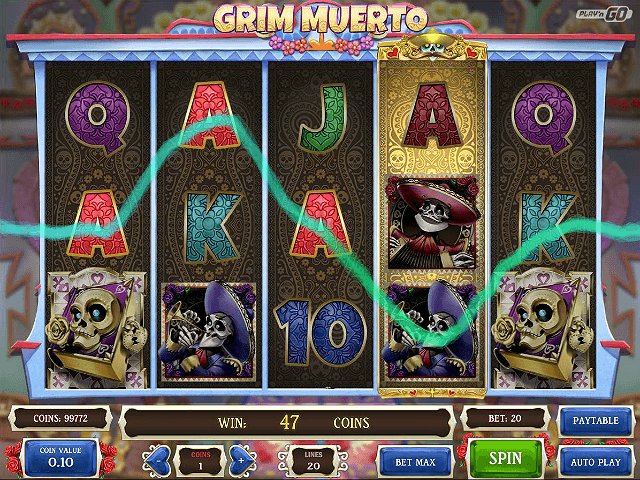 Being a celebration of life, Grim Muerto online slot features plenty of surprises to help put a smile on your face. You must be 18+ to play this demo. Temple Nile is the latest addition to the White Hat Gaming group of casinos and with its pyramid logo and Egyptian theme, it is sure to be a hit. With its unique aesthetic combined with a huge catalogue of games from over 30 providers it is definitely one to keep an eye on! 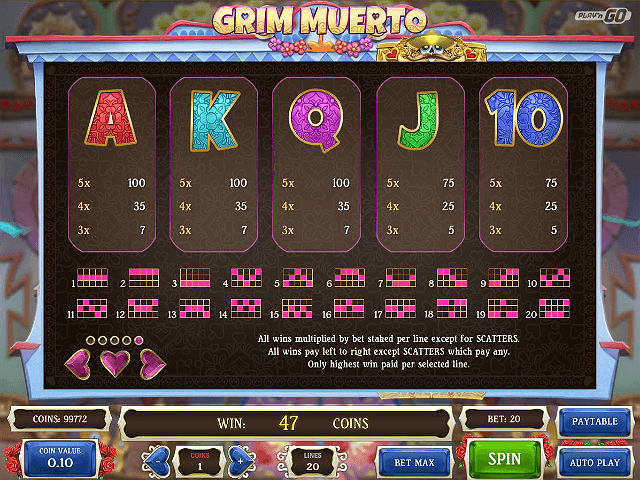 There are stacks of bonuses and features available in Grim Muerto, and it is these that set the game apart from any run-of-the-mill competitors. First up there's the wild symbol: the golden guitar. This substitutes for all other main game symbols to create additional winning lines, and also pays out some handy cash sums for matching anything from two (5 coins) to five (1000 coins) on a payline. Scatter wins pay out anywhere on your reels, with two or more of these also triggering the Second Chance feature. All you have to do here is select your favourite Mariachi band member to earn a cash reward. If you can find the hidden scatter symbol in this pick ‘em game you will trigger the free spins bonus. 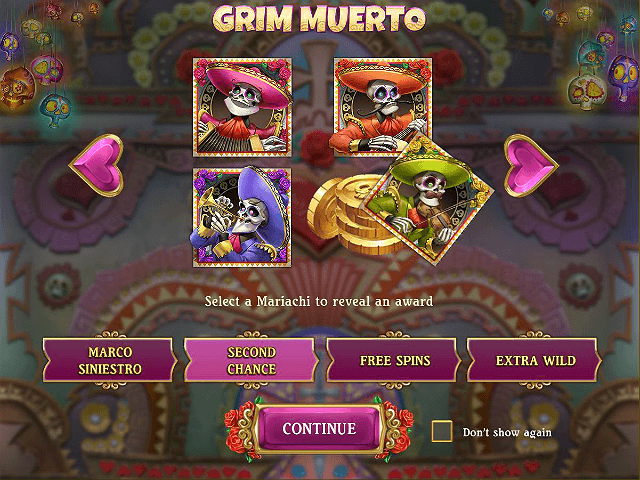 The free spins feature can also be triggered by revealing three of the book symbols on your reels, which awards ten freebies. Land a candle symbol here to win more free spins (up to six are available). Note that one Mariachi band member will become wild for the duration of the bonus feature too. The final feature worth noting is that one reel is randomly highlighted prior to each spin of the reels in the main game. Land a wild symbol on this reel and this will expand to maximise your results, while in the free spins round 2-5 of your reels could be highlighted for this special treatment! 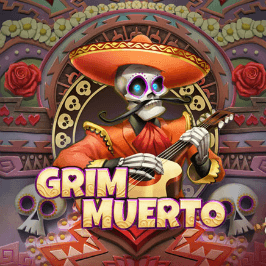 If you like Grim Muerto - You'll like these slots too!